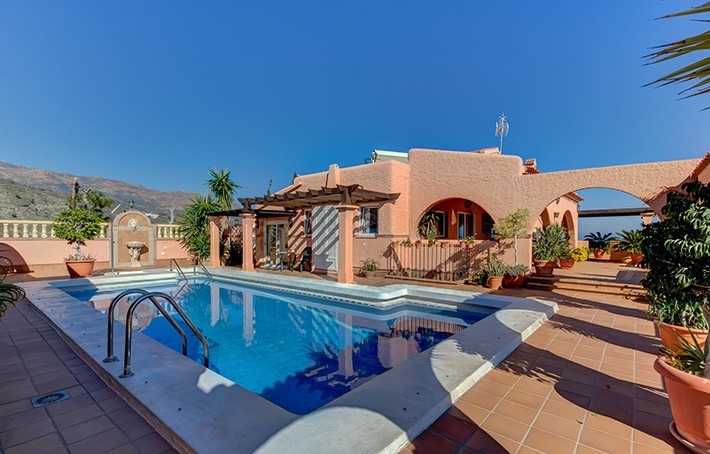 Big and luxurious 5 bed, 5 bath detached villa set on a 1.000m² plot, overlooking the bay of Mojácar and Macenas. 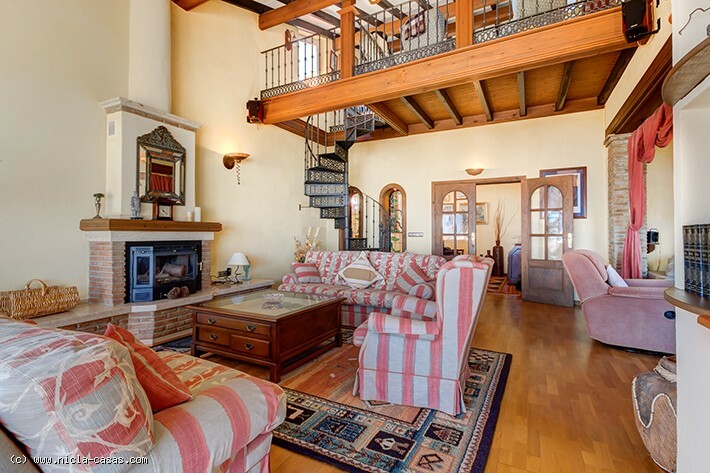 The 480 m² property consists of main house and two self contained apartments. 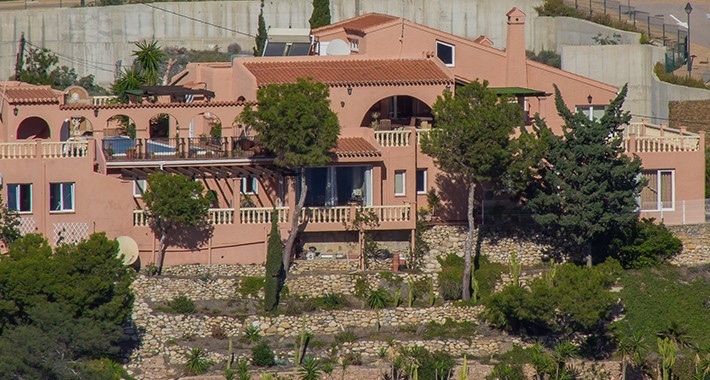 It has a swimming pool, a gym and an enclosed garage for 3 cars. 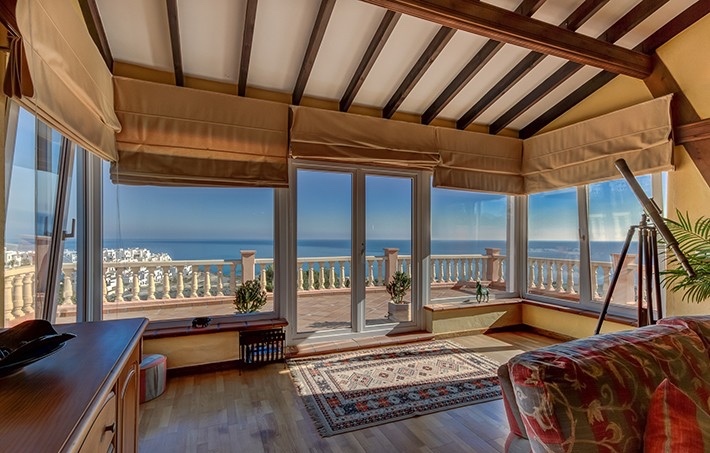 The main entrance to the property is through a very ornate metal gate, which opens into the main hall with cloakroom and double doors to the sitting room with 180 degrees sea views with adjacent tv room, fireplace, beamed ceiling and double doors to the terrace with amazing sea views. A spiral staircase leads to the mezzanine studio. 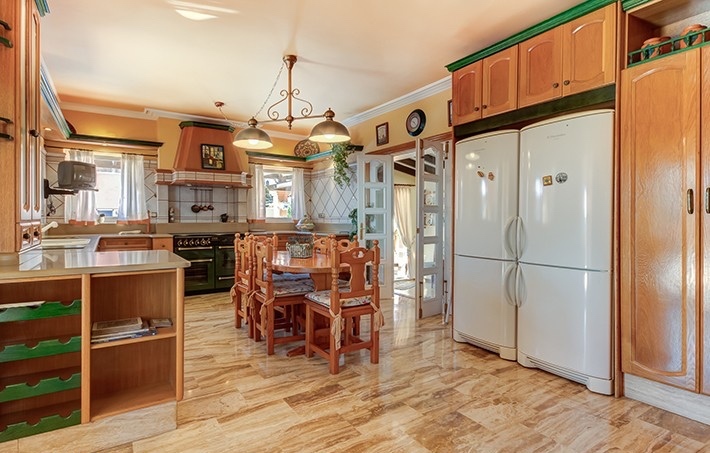 Upstairs from the hall is the fully fitted kitchen with dining area with Travertine floors. The kitchen opens into a covered terrace with bbq area. Adjacent to the kitchen is the dining room with sliding doors to the swimming pool area. 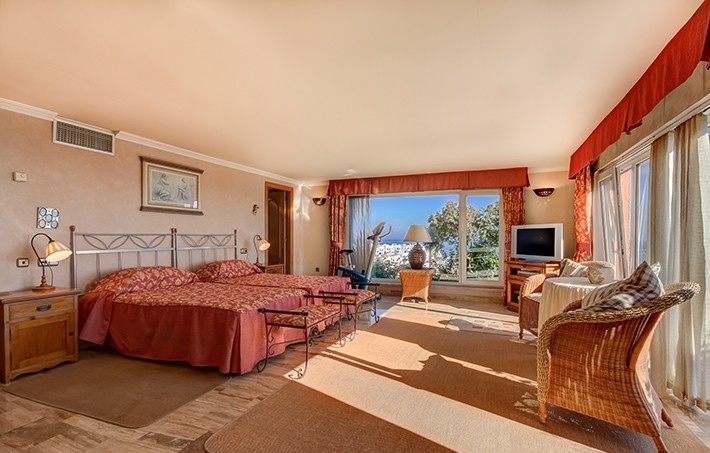 The ground floor of the main building consists of two double bedrooms with terraces; one of them is the master bedroom with sea views, dressing room that leads to a kitchenette, en suite bathroom with shower, double washbasin and Jacuzzi. 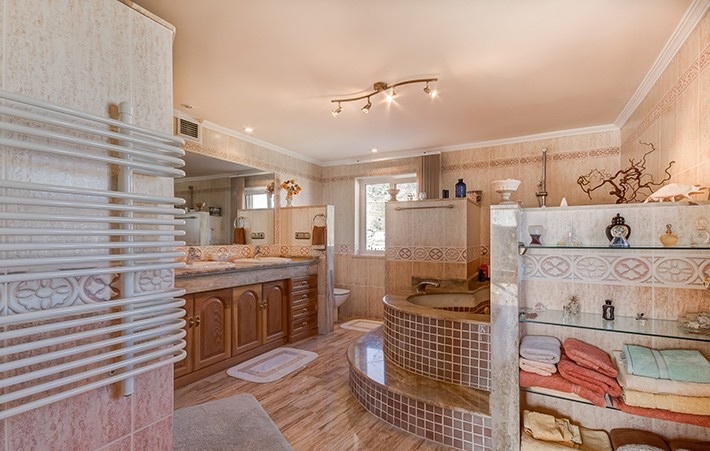 There is also a washing room and a bathroom with bathtub. 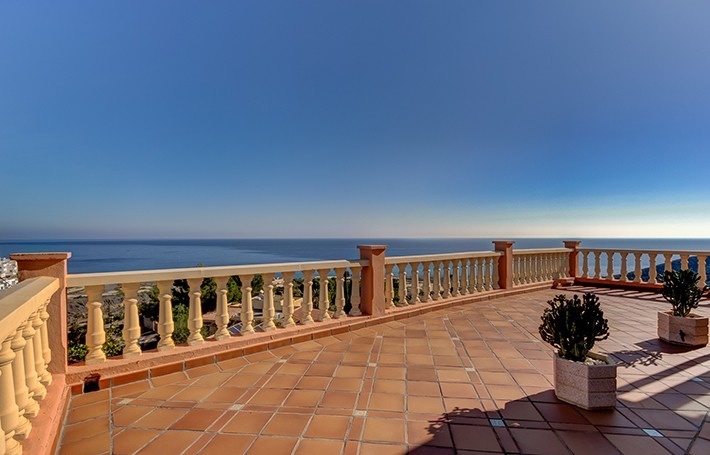 The first apartment has a sitting-dining room with sea views and access to the terrace, a kitchen, two bedrooms (one double, one single) a bathroom with bathtub, washing machine and double washbasin. The second apartment has a sitting-dining room with open kitchen, one double bedroom and a bathroom with shower. This apartment has also a private entrance from the street. There is also a fitness room with Turkish bath and a bathroom with shower, a 5 x 10 swimming pool and terraces that go all around the property. There are solar panels for water heating, central gas installation, alarm, central air conditioning, satellite tv, double glazed pvc windows and oak interior doors and door frames.